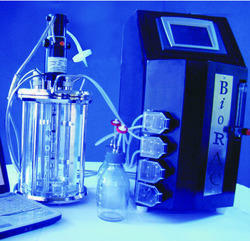 This Autoclavable Fermentor & Bioreactor is widely used inmicroorganism lab & Cell Culture Lab of academe and company. It's an ideal instrument forexact fermentation experimentation. 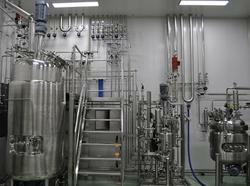 We At LELESIL Offer Custom designed process vessels production of API, liquid oral formulations, Intravenous Fluid Line, Injectables and other Chemical Products.We Design and Manufacture Wide Range of Equipments for this Industry. · Autoclavable Pyrex glass vessel or in-situ-sterilizable jacketed SS vessel. · SS head plate with standard ports. · Accurate controls for aeration, agitation and temperature. BiOZEEN manufactures stainless steel pilot scale to production scale fermentors which are customized as per the process needs. Innovatively designed BiOZEEN fermentors are suitable for cultivation of microbial culture. - SS head plate provided with standard ports. We bring forth for our clients superior quality Glass Fermentor. While manufacturing these Glass Fermentor, we take extra care of quality so our clients get best product. Our clients can avail from us these products at most competitive rates. We are offering superior quality Lab Fermenter to our valuable clients. We always try to provide quality range of products to our valuable clients.